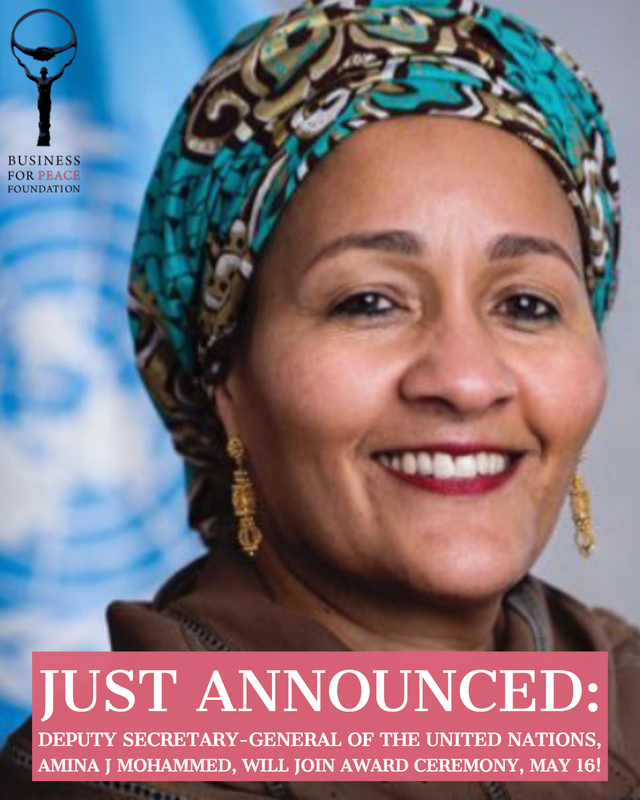 We are pleased to share that our 2018 Award Ceremony will now feature an address from the Deputy Secretary-General of the United Nations, H.E. Ms. Amina J Mohammed. In addition to her esteemed presence, the award ceremony will feature other special guests, a curated programme of live musical performances, an interactive installation prior to the ceremony, and the annual State of the Union address, given this year by Nobel Peace Laureate, Ms. Leymah Gbowee. Join us as we recognise this year’s Business for Peace Award Honourees at Oslo City Hall, Wednesday May 16. Were you unable to join us in Oslo? Watch the recording of the Award Ceremony here. This entry was posted	on Sunday, May 13th, 2018 at 20:53	and is filed under Blog, News. You can follow any responses to this entry through the RSS 2.0 feed. Both comments and pings are currently closed.